Dress up your entryway, patio, deck or any outdoor living space with the Tierra Verde 20 in. Self-Watering Black Planter. Made from 98% recycled material, this self-watering planter has an elegant look that is durable for all seasons and has a 365 day no crack guarantee. This sleek planter features an interior self-watering system to ensure plants stay properly hydrated. Soil added to the planter perches above a base water reservoir where the plants roots can stretch down out of the soil and into the water for nourishment, keeping your plants healthy and lush. With the bottom drainage plug removed, this planter will protect against over-watering by allowing excess water to drain out a perfect solution if you travel and have difficulty keeping up with the watering needs of your plants. 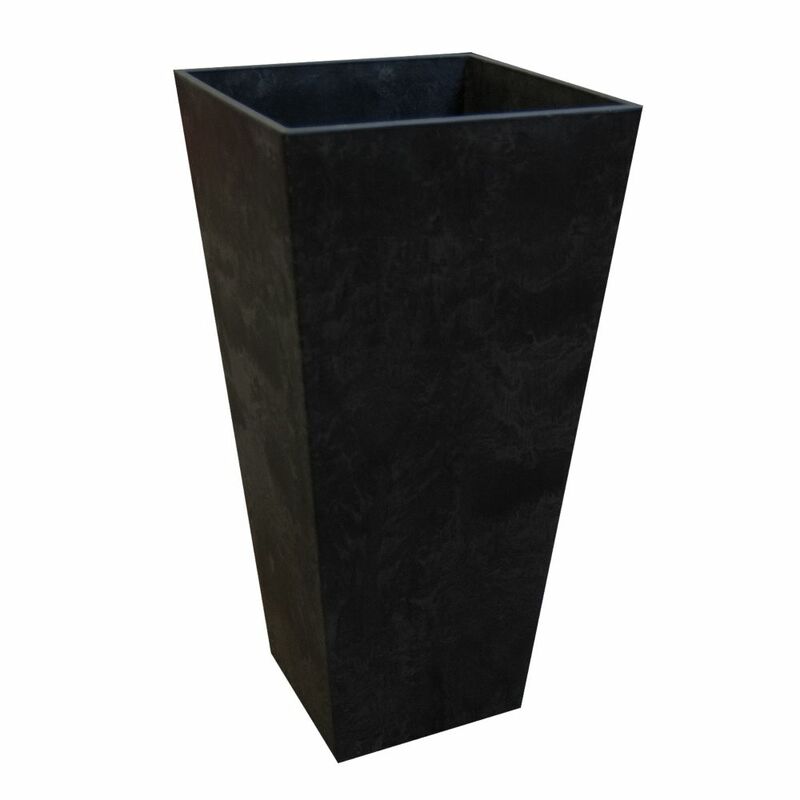 20-inch Planter in Slate Dress up your entryway, patio, deck or any outdoor living space with the Tierra Verde 20 in. Self-Watering Black Planter. Made from 98% recycled material, this self-watering planter has an elegant look that is durable for all seasons and has a 365 day no crack guarantee. This sleek planter features an interior self-watering system to ensure plants stay properly hydrated. Soil added to the planter perches above a base water reservoir where the plants roots can stretch down out of the soil and into the water for nourishment, keeping your plants healthy and lush. With the bottom drainage plug removed, this planter will protect against over-watering by allowing excess water to drain out a perfect solution if you travel and have difficulty keeping up with the watering needs of your plants. 20-inch Planter in Slate is rated 4.8 out of 5 by 74. Rated 5 out of 5 by Brandi from Very stylish. Like these for lemongrass on the deck.... Very stylish. Like these for lemongrass on the deck. Rated 5 out of 5 by Kmaner from Love it!!... Love it!! Rated 5 out of 5 by HomeDepotCustomer from Love the modern look. I bought 4 for the back... Love the modern look. I bought 4 for the back last spring and they’re looking great still.